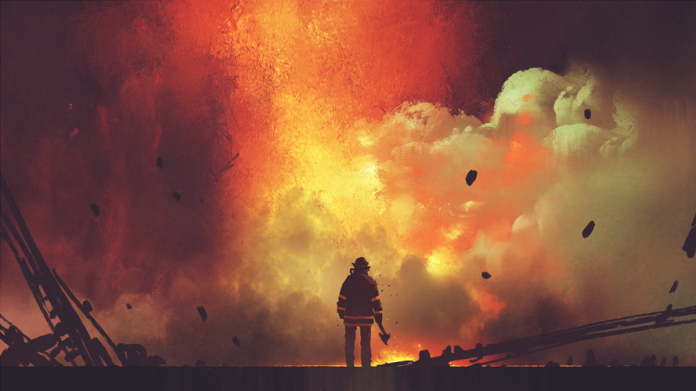 How post-traumatic stress affects first responders. The prolonged wildfire season that many experts say is the new normal for California has claimed lives and destroyed property, but it has also taken a toll on the mental health of firefighters who must battle the historic blazes. For some first responders, dealing with trauma experienced on the job becomes so daunting that they lose all hope. In 2017, more firefighters in the United States died by suicide than in the line of duty, according to a study by the Ruderman Family Foundation. “Suicide is a plague on our profession,” says Rice. That’s one reason CPF and others advocate deploying peer supporters at the outset of a major fire event to help firefighters cope with the emotional strains of the job.